Why pay top dollar for a tub of delicious ice cream when you could just make your own? 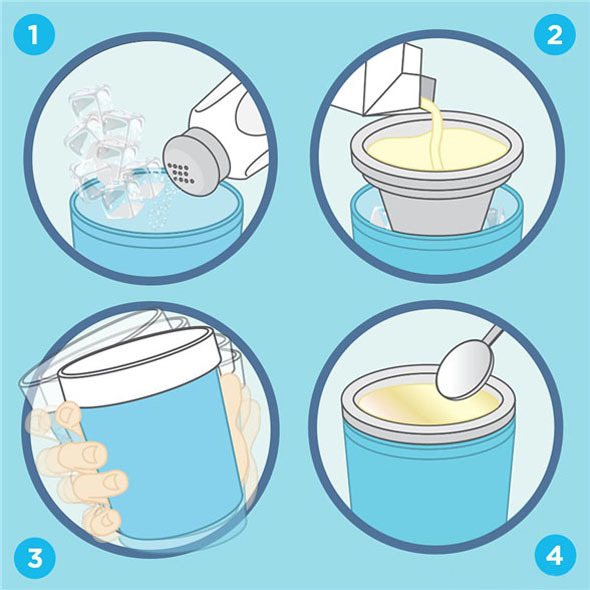 This awesome hand-powered ice cream maker allows you to do exactly that - with just a few basic ingredients, you'll be enjoying your very own home-made ice cream in no time! Yum! 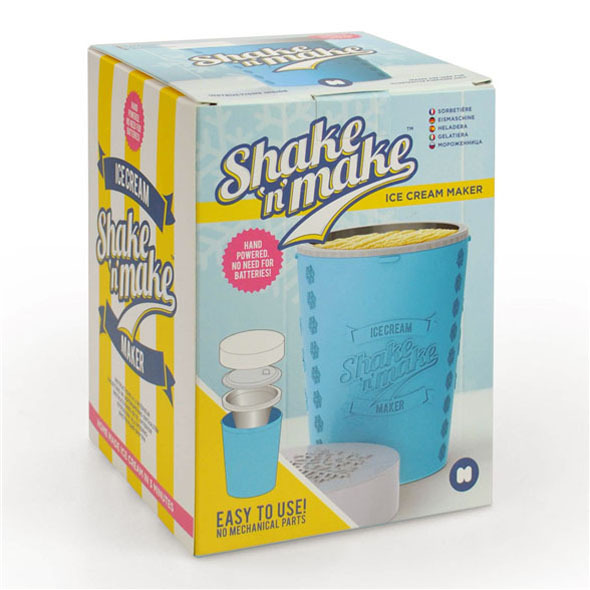 The Shake 'n' Make ice cream maker doesn't require any batteries or electricity of any kind. 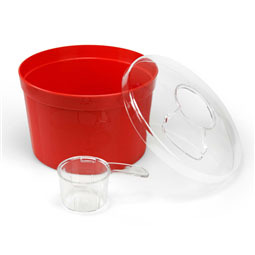 Simply put everything inside the tub and shake it around for a few minutes! Make your own ice cream at home! Craving ice cream, but can't be bothered to leave the house? 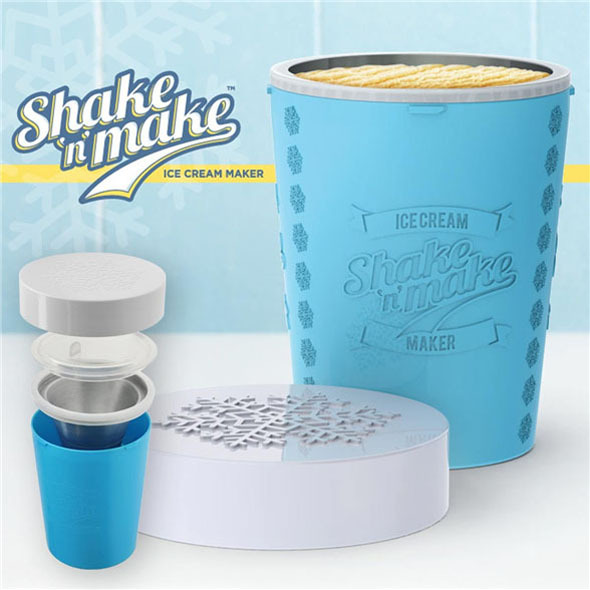 Well, we have the perfect solution: the Shake 'n' Make Ice Cream Maker! This hand-powered gadget allows you to make your own ice cream in mere minutes. It's an awesome gift for ice cream lovers! 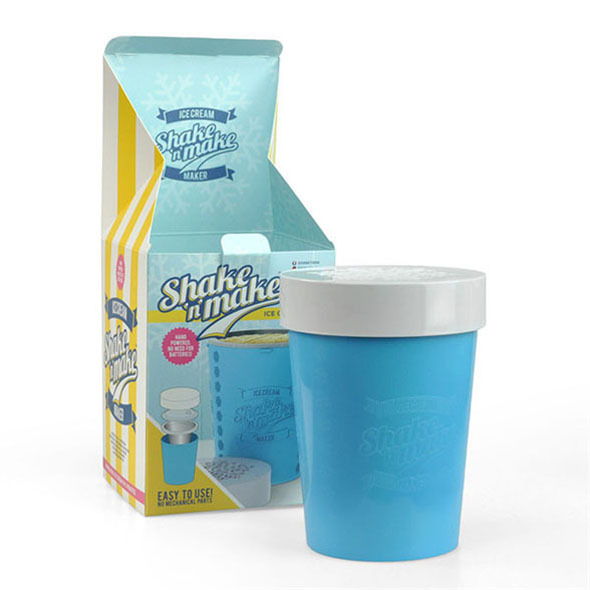 Put some ice into the Shake 'n' Make tub, along with 4 tablespoons of salt. In a separate container, mix cream, milk, sugar, and vanilla essence (or another flavouring) to create your ice cream mixture. Add the ice cream mixture to the tub. Seal and shake by hand for 3 mins. Open the tub and enjoy your home-made ice cream!